One cannot emphasize too much the distinction between Islam - plain Islam - and its fundamentalist version. Islam is the religion of about one billion people and is a rapidly growing faith, particularly in Africa but also elsewhere in the world. The United States, for example, boasts almost a million converts to Islam (plus an even larger number of Muslim immigrants). Islam's adherents find their faith immensely appealing, for the religion possesses an inner strength that is quite extraordinary. As a leading figure in the Islamic Republic of Iran maintains, "Any Westerner who really understands Islam will envy the lives of Muslims." Far from feeling embarrassed about its being temporally the last of the three major Middle Eastern monotheisms, Muslims believe that their faith improves on the earlier ones. In their telling, Judaism and Christianity are but defective variants of Islam, which is God's final, perfect religion. Contributing to this internal confidence is the memory of outstanding achievements during Islam's first six or so centuries. Its culture was the most advanced, and Muslims enjoyed the best health, lived the longest, had the highest rates of literacy, sponsored the most advanced scientific and technical research, and deployed usually victorious armies. This pattern of success was evident from the beginning: in A.D. 622 the Prophet Muhammad fled Mecca as a refugee, only to return eight years later as its ruler. As early as the year 715, Muslim conquerors had assembled an empire that extended from Spain in the west to India in the east. To be a Muslim meant to belong to a winning civilization. Muslims, not surprisingly, came to assume a correlation between their faith and their worldly success, to assume that they were the favored of God in both spiritual and mundane matters. And yet, in modern times battlefield victories and prosperity have been notably lacking. Indeed, as early as the thirteenth century, Islam's atrophy and Christendom's advances were already becoming discernible. But, for some five hundred years longer, Muslims remained largely oblivious to the extraordinary developments taking place to their north. Ibn Khaldun, the famous Muslim intellectual, wrote around the year 1400 about Europe, "I hear that many developments are taking place in the land of the Rum, but God only knows what happens there!" Such willful ignorance rendered Muslims vulnerable when they could no longer ignore what was happening around them. Perhaps the most dramatic alert came in July 1798, when Napoleon Bonaparte landed in Egypt - the center of the Muslim world - and conquered it with stunning ease. Other assaults followed over the next century and more, and before long most Muslims were living under European rule. As their power and influence waned, a sense of incomprehension spread among Muslims. What had gone wrong? Why had God seemingly abandoned them? Anwar Ibrahim, a savvy Malaysian Islamist leader. The trauma of modern Islam results from this sharp and unmistakable contrast between medieval successes and more recent tribulations. Put simply, Muslims have had an exceedingly hard time explaining what went wrong. Nor has the passage of time made this task any easier, for the same unhappy circumstances basically still exist. Whatever index one employs, Muslims can be found clustering toward the bottom - whether measured in terms of their military prowess, political stability, economic development, corruption, human rights, health, longevity or literacy. 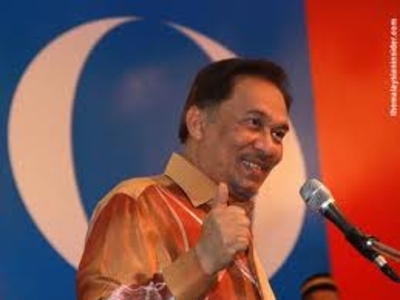 Anwar Ibrahim, the former deputy prime minister of Malaysia who now languishes in jail, estimates in The Asian Renaissance (1997) that whereas Muslims make up just one-fifth of the world's total population, they constitute more than half of the 1.2 billion people living in abject poverty. There is thus a pervasive sense of debilitation and encroachment in the Islamic world today. As the imam of a mosque in Jerusalem put it not long ago, "Before, we were masters of the world and now we're not even masters of our own mosques." Searching for explanations for their predicament, Muslims have devised three political responses to modernity - secularism, reformism and Islamism. The first of these holds that Muslims can only advance by emulating the West. Yes, the secularists concede, Islam is a valuable and esteemed legacy, but its public dimensions must be put aside. In particular, the sacred law of Islam (called the Shari'a) - which governs such matters as the judicial system, the manner in which Muslim states go to war, and the nature of social interactions between men and women - should be discarded in its entirety. The leading secular country is Turkey, where Kemal Atatürk in the period 1923-38 reshaped and modernized an overwhelmingly Muslim society. Overall, though, secularism is a minority position among Muslims, and even in Turkey it is under siege. Reformism, occupying a murky middle ground, offers a more popular response to modernity. Whereas secularism forthrightly calls for learning from the West, reformism selectively appropriates from it. The reformist says, "Look, Islam is basically compatible with Western ways. It's just that we lost track of our own achievements, which the West exploited. We must now go back to our own ways by adopting those of the West." To reach this conclusion, reformers reread the Islamic scriptures in a Western light. For example, the Koran permits a man to take up to four wives - on the condition that he treat them equitably. Traditionally, and quite logically, Muslims understood this verse as permission for a man to take four wives. But because a man is allowed only one in the West, the reformists performed a sleight of hand and interpreted the verse in a new way: the Koran, they claim, requires that a man must treat his wives equitably, which is clearly something no man can do if there is more than one of them. So, they conclude, Islam prohibits more than a single wife. Reformists have applied this sort of reasoning across the board. To science, for example, they contend Muslims should have no objections, for science is in fact Muslim. They recall that the word algebra comes from the Arabic, al-jabr. Algebra being the essence of mathematics and mathematics being the essence of science, all of modern science and technology thereby stems from work done by Muslims. So there is no reason to resist Western science; it is rather a matter of reclaiming what the West took (or stole) in the first place. In case after case, and with varying degrees of credibility, reformists appropriate Western ways under the guise of drawing on their own heritage. The aim of the reformists, then, is to imitate the West without acknowledging as much. Though intellectually bankrupt, reformism functions well as a political strategy. The third response to the modern trauma is Islamism, the subject of the remainder of this essay. Islamism has three main features: a devotion to the sacred law, a rejection of Western influences, and the transformation of faith into ideology. Islamism holds that Muslims lag behind the West because they're not good Muslims. To regain lost glory requires a return to old ways, and that is achieved by living fully in accordance with the Shari'a. Were Muslims to do so, they would once again reside on top of the world, as they did a millennium ago. This, however, is no easy task, for the sacred law contains a vast body of regulations touching every aspect of life, many of them contrary to modern practices. (The Shari'a somewhat resembles Jewish law, but nothing comparable exists in Christianity.) Thus, it forbids usury or any taking of interest, which has deep and obvious implications for economic life. It calls for cutting off the hands of thieves, which runs contrary to all modern sensibilities, as do its mandatory covering of women and the separation of the sexes. Islamism not only calls for the application of these laws, but for a more rigorous application than ever before was the case. Before 1800, the interpreters of the Shari'a softened it somewhat. For instance, they devised a method by which to avoid the ban on interest. The fundamentalists reject such modifications, demanding instead that Muslims apply the Shari'a strictly and in its totality. In their effort to build a way of life based purely on the Shar'i laws, Islamists strain to reject all aspects of Western influence - customs, philosophy, political institutions and values. Despite these efforts, they still absorb vast amounts from the West in endless ways. For one, they need modern technology, especially its military and medical applications. For another, they themselves tend to be modern individuals, and so are far more imbued with Western ways than they wish to be or will ever acknowledge. Thus, while the Ayatollah Khomeini, who was more traditional than most Islamists, attempted to found a government on the pure principles of Shiite Islam, he ended up with a republic based on a constitution that represents a nation via the decisions of a parliament, which is in turn chosen through popular elections - every one of these a Western concept. Another example of Western influence is that Friday, which in Islam is not a day of rest but a day of congregation, is now the Muslim equivalent of a sabbath. Similarly, the laws of Islam do not apply to everyone living within a geographical territory but only to Muslims; Islamists, however, understand them as territorial in nature (as an Italian priest living in Sudan found out long ago, when he was flogged for possessing alcohol). Islamism thereby stealthily appropriates from the West while denying that it is doing so. Perhaps the most important of these borrowings is the emulation of Western ideologies. The word "Islamism" is a useful and accurate one, for it indicates that this phenomenon is an "ism" comparable to other ideologies of the twentieth century. In fact, Islamism represents an Islamic-flavored version of the radical utopian ideas of our time, following Marxism-Leninism and fascism. It infuses a vast array of Western political and economic ideas within the religion of Islam. As an Islamist, a Muslim Brother from Egypt, puts it, "We are neither socialist nor capitalist, but Muslims"; a Muslim of old would have said, "We are neither Jews nor Christians, but Muslims." Islamists see their adherence to Islam primarily as a form of political allegiance; hence, though usually pious Muslims, they need not be. Plenty of Islamists seem in fact to be rather impious. For instance, the mastermind of the 1993 World Trade Center bombing in New York, Ramzi Yousef, had a girlfriend while living in the Philippines and was "gallivanting around Manila's bars, strip-joints and karaoke clubs, flirting with women." From this and other suggestions of loose living, his biographer, Simon Reeve, finds "scant evidence to support any description of Yousef as a religious warrior." The FBI agent in charge of investigating Yousef concluded that, "He hid behind a cloak of Islam." On a grander level, Ayatollah Khomeini hinted at the irrelevance of faith for Islamists in a letter to Mikhail Gorbachev early in 1989, as the Soviet Union was rapidly failing. The Iranian leader offered his own government as a model: "I openly announce that the Islamic Republic of Iran, as the greatest and most powerful base of the Islamic world, can easily help fill up the ideological vacuum of your system." Khomeini here seemed to be suggesting that the Soviets should turn to the Islamist ideology - converting to Islam would almost seem to be an afterthought. Contrary to its reputation, Islamism is not a way back; as a contemporary ideology it offers not a means to return to some old-fashioned way of life but a way of navigating the shoals of modernization. With few exceptions (notably, the Taliban in Afghanistan), Islamists are city dwellers trying to cope with the problems of modern urban life - not people of the countryside. Thus, the challenges facing career women figure prominently in Islamist discussions. What, for example, can a woman who must travel by crowded public transportation do to protect herself from groping? The Islamists have a ready reply: she should cover herself, body and face, and signal through the wearing of Islamic clothes that she is not approachable. More broadly, they offer an inclusive and alternative way of life for modern persons, one that rejects the whole complex of popular culture, consumerism and individualism in favor of a faith-based totalitarianism. While Islamism is often seen as a form of traditional Islam, it is something profoundly different. Traditional Islam seeks to teach humans how to live in accord with God's will, whereas Islamism aspires to create a new order. The first is self-confident, the second deeply defensive. The one emphasizes individuals, the latter communities. The former is a personal credo, the latter a political ideology. The village elder, who is close to the religious establishment and knows little of Western culture (from which he refuses technology a priori) cannot be confused with the young science student who is more than able to deliver a criticism of Western values, with which he is familiar and from which he is able to appropriate certain dimensions. The traditionalist will reject television, afraid of the devastating modernism that it will bring; the Islamist calls for increasing the number of sets . . . once he has gained control of the broadcasts. Most important from our perspective, traditionalists fear the West while Islamists are eager to challenge it. The late mufti of Saudi Arabia, 'Abd al-'Aziz Bin-Baz, exemplified the tremulous old guard. In the summer of 1995, he warned Saudi youth not to travel to the West for vacation because "there is a deadly poison in travelling to the land of the infidels and there are schemes by the enemies of Islam to lure Muslims away from their religion, to create doubts about their beliefs, and to spread sedition among them." He urged the young to spend their summers in the "safety" of the summer resorts in their own country. We are continuing with all our strength our steps of jihad and military attacks, and this time in the heart of France and its largest cities. . . . It's a pledge that [the French] will have no more sleep and no more leisure and Islam will enter France whether they like it or not. More moderate Islamists plan to use non-violent means to transform their host countries into Islamic states. For them, conversion is the key. One leading American Muslim thinker, Isma'il R. Al-Faruqi, put this sentiment rather poetically: "Nothing could be greater than this youthful, vigorous and rich continent [of North America] turning away from its past evil and marching forward under the banner of Allahu Akbar [God is great]." This contrast not only implies that Islamism threatens the West in a way that the traditional faith does not, but it also suggests why traditional Muslims, who are often the first victims of Islamism, express contempt for the ideology. Thus, Naguib Mahfouz, Egypt's Nobel Prize winner for literature, commented after being stabbed in the neck by an Islamist: "I pray to God to make the police victorious over terrorism and to purify Egypt from this evil, in defense of people, freedom, and Islam." Tujan Faysal, a female member of the Jordanian parliament, calls Islamism "one of the greatest dangers facing our society" and compares it to "a cancer" that "has to be surgically removed." Çevik Bir, one of the key figures in dispatching Turkey's Islamist government in 1997, flatly states that in his country, "Muslim fundamentalism remains public enemy number one." If Muslims feel this way, so can non-Muslims; being anti-Islamism in no way implies being anti-Islam. Like other radical ideologues, Islamists look to the state as the main vehicle for promoting their program. Indeed, given the impractical nature of their scheme, the levers of the state are critical to the realization of their aims. Toward this end, Islamists often lead political opposition parties (Egypt, Turkey, Saudi Arabia) or have gained significant power (Lebanon, Pakistan, Malaysia). Their tactics are often murderous. In Algeria, an Islamist insurgency has led to some 70,000 deaths since 1992. And when Islamists do take power, as in Iran, Sudan and Afghanistan, the result is invariably a disaster. Economic decline begins immediately. Iran, where for two decades the standard of living has almost relentlessly declined, offers the most striking example of this. Personal rights are disregarded, as spectacularly shown by the re-establishment of chattel slavery in Sudan. Repression of women is an absolute requirement, a practice most dramatically on display in Afghanistan, where they have been excluded from schools and jobs. An Islamist state is, almost by definition, a rogue state, not playing by any rules except those of expediency and power, a ruthless institution that causes misery at home and abroad. Islamists in power means that conflicts proliferate, society is militarized, arsenals grow, and terrorism becomes an instrument of state. It is no accident that Iran was engaged in the longest conventional war of the twentieth century (1980-88, against Iraq) and that both Sudan and Afghanistan are in the throes of decades-long civil wars, with no end in sight. Islamists repress moderate Muslims and treat non-Muslims as inferior specimens. Its apologists like to see in Islamism a force for democracy, but this ignores the key pattern that, as Martin Kramer points out, "Islamists are more likely to reach less militant positions because of their exclusion from power. . . . Weakness moderates Islamists." Power has the opposite effect. Islamism has now been on the ascendant for more than a quarter century. Its many successes should not be understood, however, as evidence that it has widespread support. A reasonable estimate might find 10 percent of Muslims following the Islamist approach. Instead, the power that Islamists wield reflects their status as a highly dedicated, capable and well-organized minority. A little bit like cadres of the Communist Party, they make up for numbers with activism and purpose. Islamists espouse deep antagonism toward non-Muslims in general, and Jews and Christians in particular. They despise the West both because of its huge cultural influence and because it is a traditional opponent - the old rival, Christendom, in a new guise. Some of them have learned to moderate their views so as not to upset Western audiences, but the disguise is thin and should deceive no one. With all due respect to Daniel Pipes and his long years of work on Middle Eastern affairs, I would urge you to drop the term "fundamentalist" when speaking of anyone other than those Christians who employ it when speaking of themselves. The State Department (my former employers), USIS, and others invariably use the term for Muslims "we" (usually liberal) don't like, with little or no effort made to distinguish how the political Islam of the Front Islamique du Salut or Hamas differs from that of the Sa'udi rulers or the late Turgut Ozal. The term further suggests a transnational unity or degree of coordination which Islamic radicalism does not necessarily possess. I fear that careless use of the "fundamentalist" buzzword will not only alienate portions of the Muslim world which might welcome Western cooperation, but also play into the hands of those who would stifle recent Christian inputs into the American domestic political dialogue. Why is Necmettin Erbakan a "fundamentalist" and his erstwhile protégé, the late Turgut Özal, not? The latter accepted traditional Muslim beliefs and practices, advocated a wider public role for Islam in Turkey, and followed an educational and career path quite similar to the angry young men of Algiers. But the difference lies in that whereas Erbakan desired to see Turkey become a leader of western Asia and northern Africa, Özal was a supporter of NATO, joining Europe, and the anti-Iraq coalition. It is said that Muslim "fundamentalists" will be bad for minorities and women in the Muslim world. Has anyone noticed that the house of Sa'ud won't let guest workers and diplomats hold Christian services in their country? Or that not a single Gulf State tolerates conversion from Islam to another religion? Or that shaking the faith of a Muslim is against the law in Morocco? But why aren't the governments of these states called "fundamentalist?" Radical Islamism more often than not represents the unpaid bills of various socialist, militarist, radical nationalist or even Communist and post-Communist states, all of which ensured that only the most stubborn and uncompromising dissent tended to survive. Do we really owe anything to the former terrorist-harboring and pro-Communist Algerian militarists, or to the Syrian Ba'ath Party? Are we to excuse China's treatment of dissenters because both the Muslims in the West and Christians in the east and center might be called "fundamentalist"? Nor do I see any real difference between the fanaticism of Hamas and the sort of fanaticism earlier seen in the supposedly "secular" Palestinian factions of the period from 1967-80. It seems to me that if we can mend fences with the Chinese Communists, we can probably do the same with Islamists, who might just win in several African, Mideastern, and Asian states. Islam lacks a doctrine of original sin. This may be why the Muslim world is so susceptible to wacky conspiracy theories and hunts scapegoats to blame for whatever goes wrong. Perhaps the best thing we could do for any Muslim state plagued by neo-traditionalist ferment would be to let it work out its best possible internal solution rather than providing a convenient Shaitan for the next generation of agitators-especially since neither our current social science nor our policy machinery seems geared towards dealing with the sorts of questions posed by neo-traditionalist ferment in Midwest, to say nothing of the Middle East. Mr. Herz is not a fan of the term "fundamentalist" when applied to Islam. Neither am I. That's why I used the term just twice to ground the reader (as well as once in a quote); and I used the alternate term "Islamist" or "Islamism" fifty-two times - including the title. So, why the lecture, Mr. Herz? Next time, how about reading the article beyond the first line before shooting off a letter to the editor? May 13, 2013 update: For an updated summary of this article, see "Islam vs. Islamism" today in The Washington Times. Related Topics: Islam, Radical Islam, US policy | Daniel Pipes receive the latest by email: subscribe to the free mef mailing list This text may be reposted or forwarded so long as it is presented as an integral whole with complete and accurate information provided about its author, date, place of publication, and original URL.